(Sept 2011) Today we celebrate another of those cosmic marvels, the aurora; in this hemisphere, the Northern Lights. The scientific explanation (that they are caused by the collision of energetic charged particles, partly originating in the solar wind, which collide with atoms and are directed by the earth's magnetic field into the atmosphere) is itself a marvel as well as the manifestations themselves which, understandably, draw people from all over the world to the auroral zones. Another wonder of our creation! 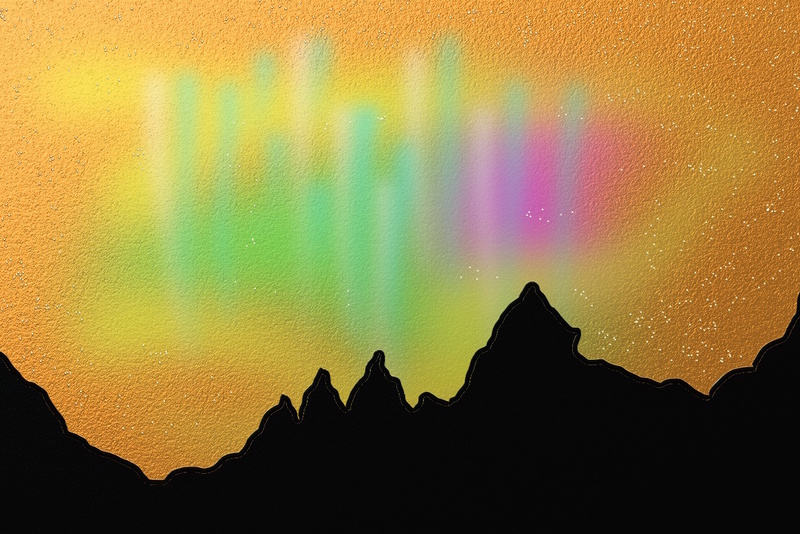 You may also enjoy Aurora II on this site.